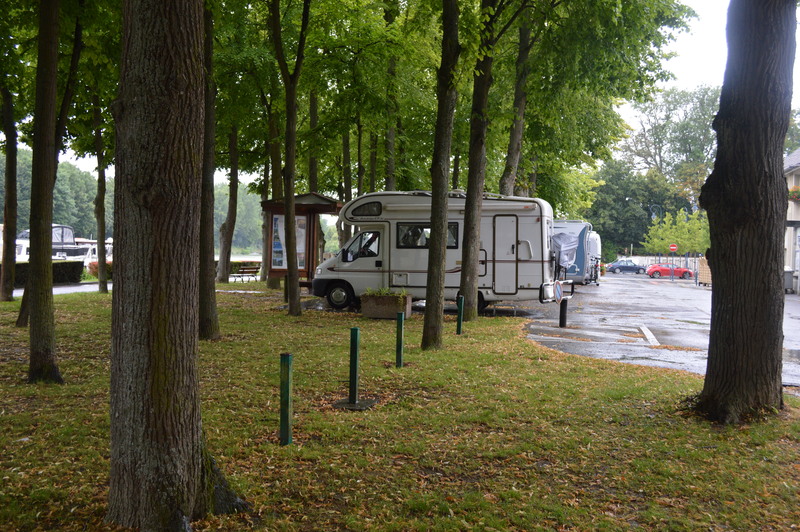 Parking under the trees by canal in charming Mareuil-sur-Ay aire. 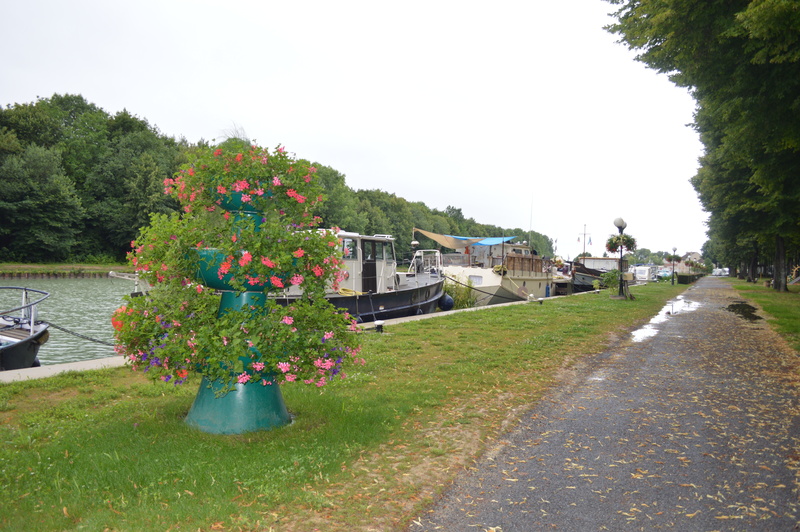 We are parked by the charming tree-lined canal that runs alongside the river Marne, just south of Reims, but unfortunately it has been raining all day, quite heavily at times, and I don’t really feel like going for a long walk like I normally would. I took Beano out for a quick trot when we arrived here just before 2 pm and Adonis took him for a longer one after our siesta. It’s a real shame as it’s really beautiful and I would have loved to enjoy it in the sun, eating out, etc like we did this time last year. Truth be told, we’ve only had one day of sunshine and hot weather on Sunday at the Vivier des Carpes campsite, so we are getting really desperate for some sun and warmth and, therefore, we have changed our original plan of going to Brittany for week or so in favour of heading south east, where the weather is bound to be better. We might go to Brittany on our way back in mid- August, but for now we are very much playing it by ear. 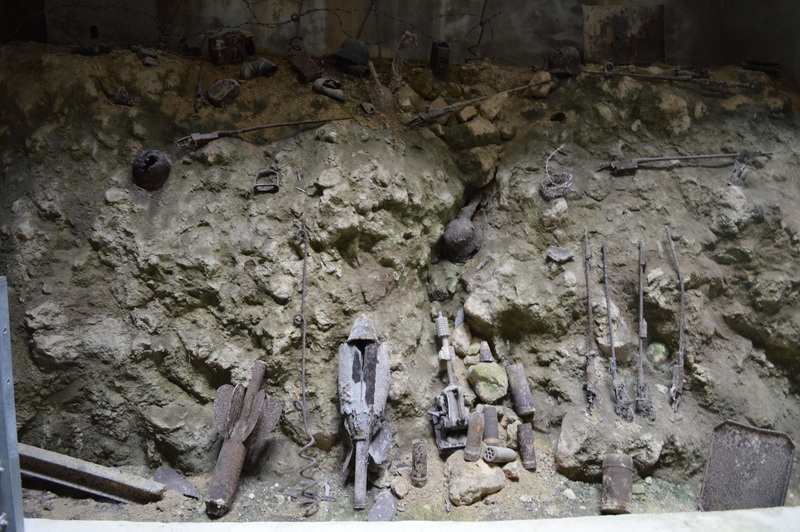 We visited the Caverne du Dragon on the Chemin des Dames, which was the scene of bloody fightings in 1914, 1917 and 1918. 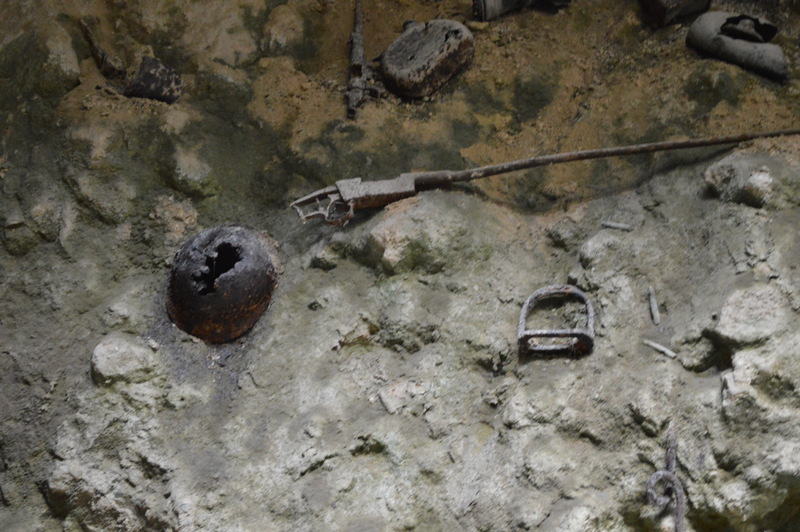 The Caverne itself was an ancient quarry turned into an underground barracks during WW1 and it shows many galleries used by soldiers, both French and German, even sharing it at some point! We followed the guided in French as we didn’t want to wait until 12 for the English one, but we managed OK and got the gist of things. 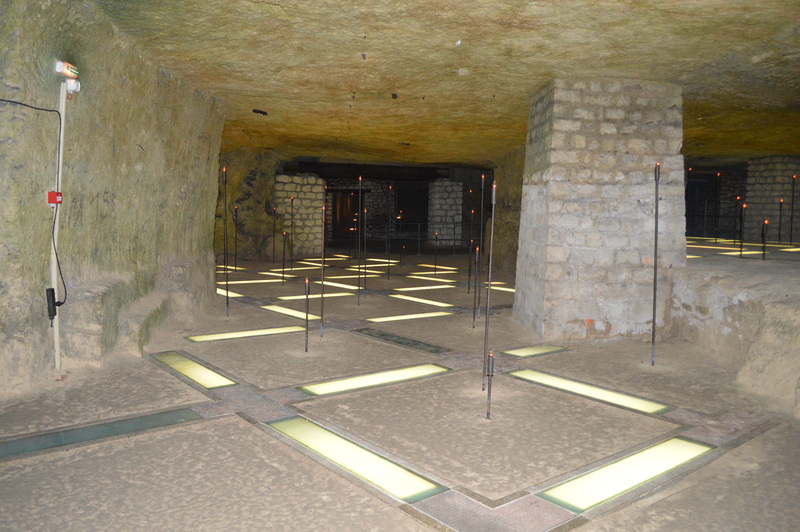 It felt cold under there – 17 metres underground – in July, so I hate to think what it must have been like in the winter all those years ago. It was certainly interesting and well worth the 6€ entry fee. There are numerous Champagne outlets here and we were hoping to visit some and buy a couple of bottles, but perhaps not today. I hope it’s a bit drier tomorrow so that we can enjoy a walk into town and along the canal. 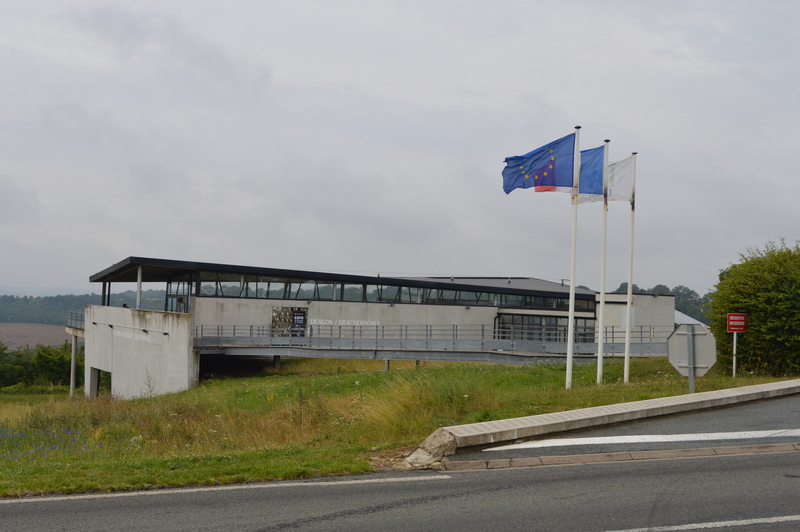 We left the UK on Saturday and managed to get a slightly earlier train, so instead of staying at City Europe’s car park as planned(which I didn’t fancy at all) we got our big shop out of the way at Auchan in Calais thanks to the TomTom. We did notice that everyone looked a bit ‘odd’, perhaps it’s the Ch’tis, about whom we have a film to watch yet. 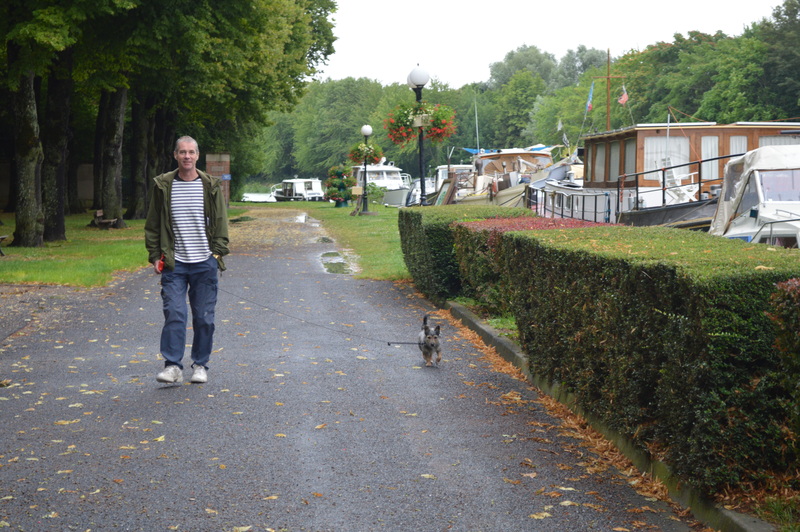 We then left towards the aire at Gravelines, where we stayed last year. We found a good spot amongst a whole line of British vans. Unfortunately, these started leaving for ferries at 4 am, which disturbed Adonis’s sleeping, but not mine! 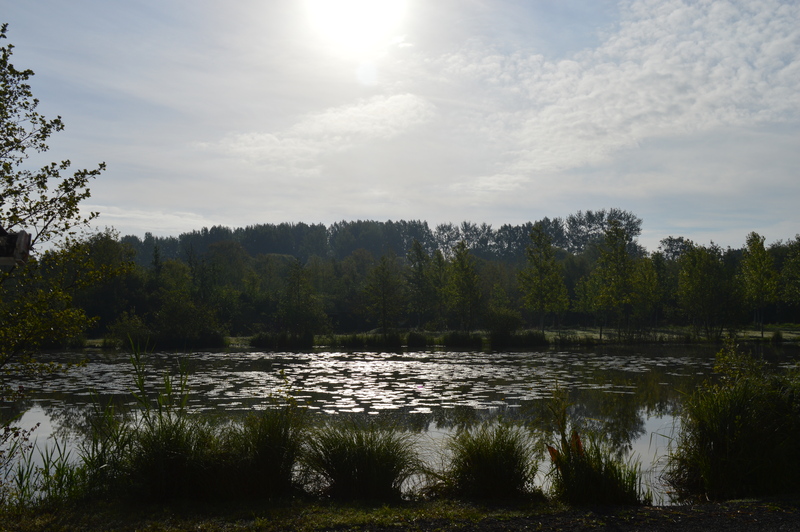 Despite his bad back and lack of sleep, Adonis managed to walk Beano while I was clearing after breakfast and we then took mainly national and D roads past Lens towards Le Vivier aux Carps, a campsite in Seracourt-le-Grand. 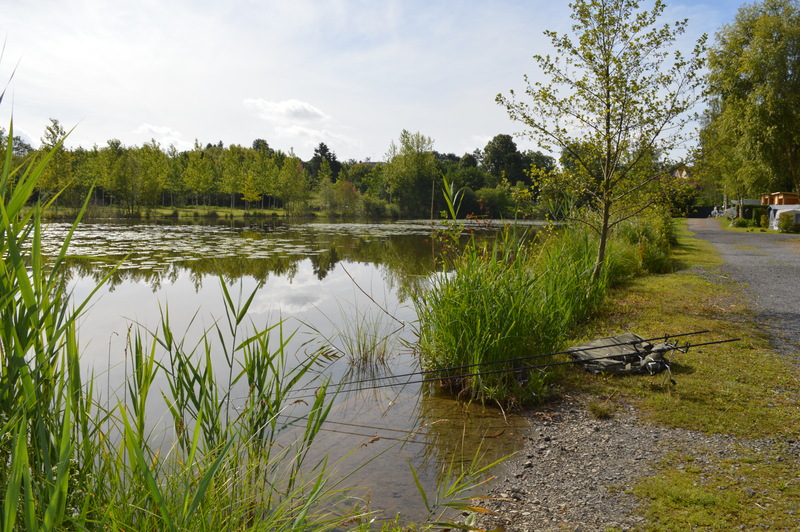 This is a nice site and we spent 2 nights there, although the ‘lake’ is more of a pond and it was packed with other British vans. 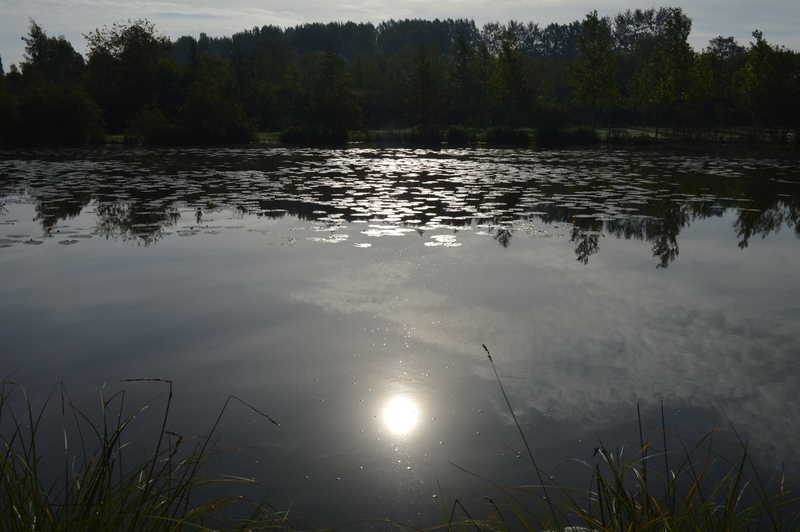 Adonis didn’t catch anything, but as his back was hurting, he didn’t put all that much effort into it. 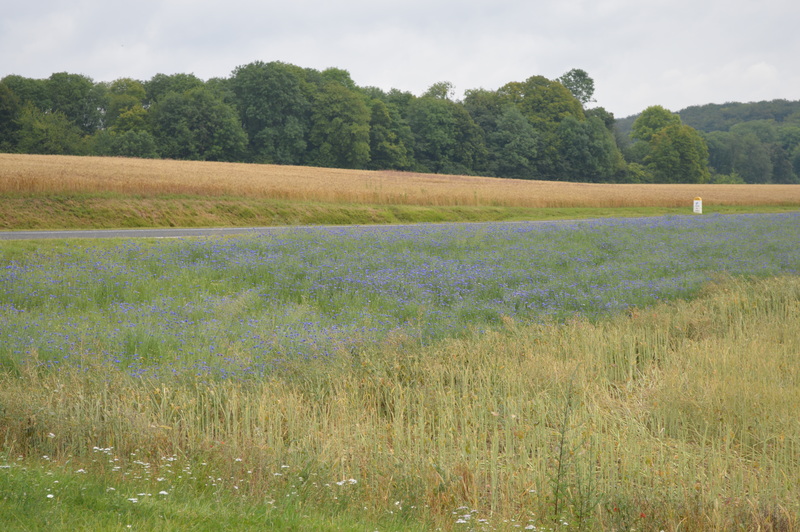 We left there at 10 am this morning to visit The Chemin des Dames, whose sides have been beautifully planted with corn flowers, and the Dragon Cave and after a bit of fiddling around on roads, we got to the Caverne-du-Dragon only to discover it is shut on Tuesday mornings. How typical is that? I just couldn’t believe it!!! We then tried to stop the night at a couple of lakes nearby, but they seemed to have been taken over by leisure/park type business and they didn’t allow dogs and we had no choice but to keep on looking. 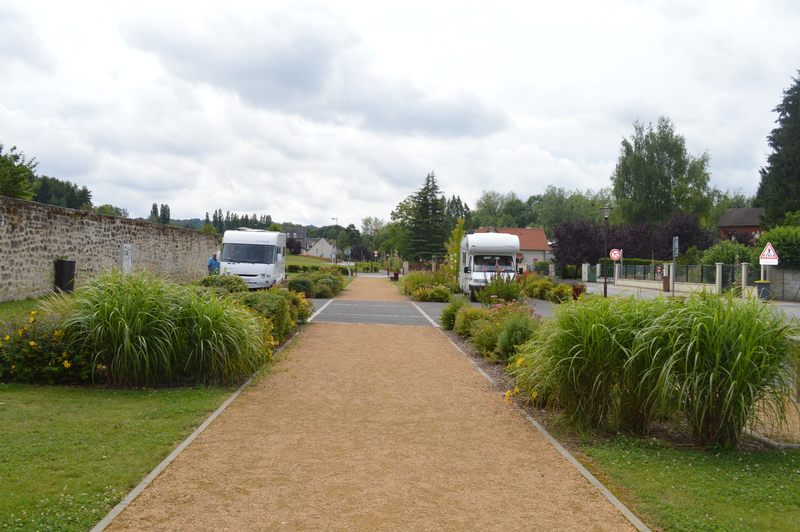 We also tried the motorhome aire at Chavignon, which was too close to the motorway and cost 6€, so we parked by a canal and had lunch, being disturbed by lorries on the weighbridge. Still, the view was good. 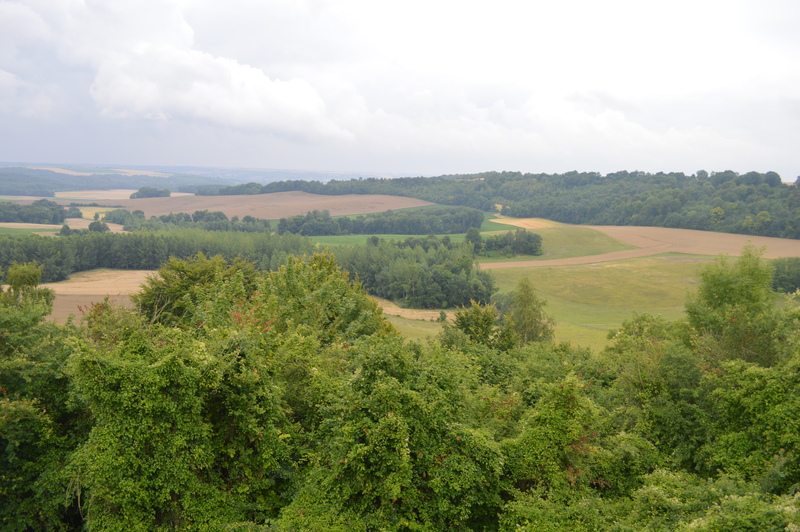 From there we headed for our 4th night, the free aire at Bruyères-et-Montberault, and very good it is too! It has four pitches separated by very well kept hedges and the little lane that runs through the park and there is also free water from a nearby fountain. The town itself is very quiet and tranquil and we enjoyed an afternoon walk around it with Beano. We’d definitely come here again if or when we return to these parts. The weather is warm but cloudy. 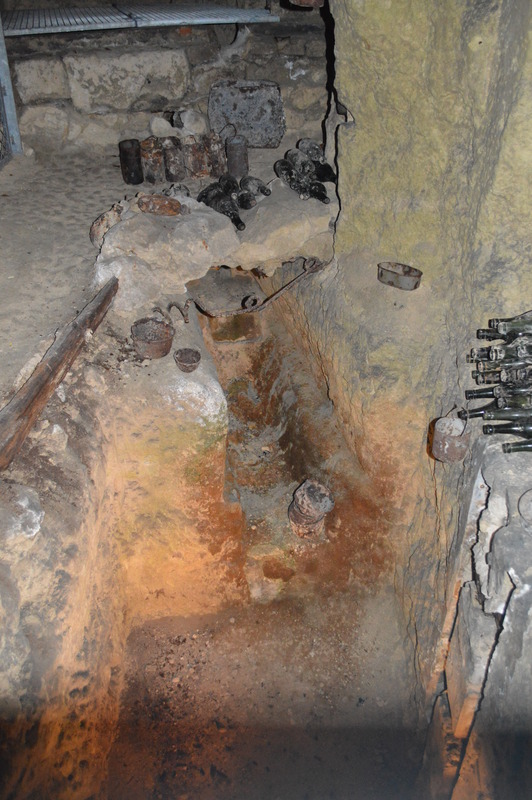 Tomorrow, we’ll try the Cave of Dragons again and then to a France Passion site in Champagne.